Because we’re such huge movie buffs, we wanted to discuss the opening of “The Internship” featuring Owen Wilson and Vince Vaughn. We’re only curious because of the geek connection. I mean, it’s talking about a gig at GOOGLE! Granted this is satirical, but can you imagine having a job working at Google on the massive Mountain View, CA campus? Or even being an intern? Google has always been rated highly as an employer in the US. As noted before, Richard Hay works for Google. One of my favorite follows on Google+ is Erica Joy. She’s a Google employee that shared a video with her Google Glass. I love how her video showed us a little glimpse of a Googler’s world. Ok now allow us to give you some breaking news. Just remember, you heard it here first. Ok? Here goes. Did you know that having a computer connected to the internet makes it susceptible to getting hacked? Well, did you? There you’ve now been enlightened by the YATS crew. Seriously, was an odd article found by Mat. Chris later points out that it’s a letter to the editor. With that said, I must mention for kicks and giggles that you don’t need an internet connection on your PC to get hacked. Many attacks can happen via a USB flash drive. The BlackBerry Q10 has launched and we react. Well more so, Chris Miller reacts. As he mentions, the OS for BlackBerry is quite impressive. 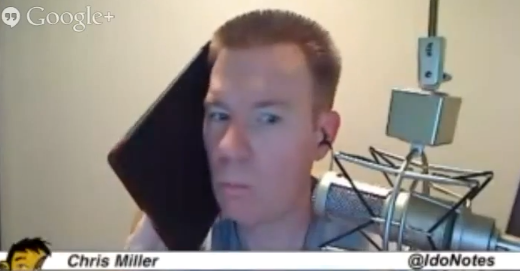 The hardware with this new Q10 just doesn’t fit his needs. You’re losing screen real estate to gain a qwerty keyboard on an OS that’s touch enabled. Mat asks if the device should be a little larger to encompass a keyboard. Chris reacts. Good stuff. Moving along, AMD has dropped it’s exclusivity with the world of Windows. Right now, the Android market is growing at an amazing rate. 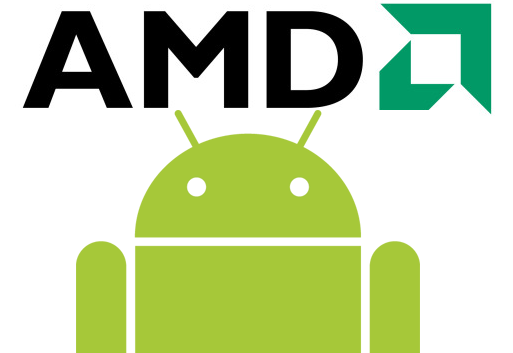 AMD could very easily take a foothold in this market and produce products for the Android OS or even the Chrome OS. No official dates have been set for when we could see AMD based chips in Android tablets. This will come as more discussions are held with OEMs and developers. Mike think it makes sense for AMD as Android is the OS with the buzz right now. Our resident Cuba infrastructure insider, Larry Press shares a story on how Cuban internet connectivity is insanely expensive. Right now the country is still battling with having network connections via satellite instead of over a standard buried wire connection. One more public service announcement for you. Everybody is hacking networks. The US and China sat down at a summit to (supposedly) discuss cyber threats and cybersecurity. Can you hear it now? “We didn’t hack you, China!” “We didn’t hack you, US!” I don’t know about you, but i think this “summit” is moot. Richard asks our thoughts on the Motorola “X” phone that’s going to be manufactured in the US. Mat and I are curious about the device, but will wait patiently. We’re both fans of Motorola hardware, but we have also learned to never get our hopes up Larry also shared with us a story on Motorola looking for phone hacks around the country. The project is called Make with Moto. Another patent story is among us. This time, the White House is now stepping in against patent trolls. The story basically pleas to congress to get something done. So many resources and monies are being expended during these cases that are sometimes grossly legitimate. What needs to happen more innovation. Stop patent trolling and start making the next big thing. That’s going to do it this week, folks. Thank you so much for your support of our show. Each week, you can catch us here on the site or through our subscriptions options on iTunes, Stitcher, RSS or in our Google+ Community. Make sure to rate us and comment on our content each week. Thank you everyone and see you next episode!